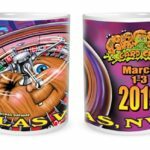 The third annual Las Vegas Gross Card Con was held last weekend at the Westgate Casino in Las Vegas. 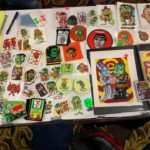 Collectors and artists from around the world ascended on Vegas to reacquaint with buddies, meet new friends, and get all the Garbage Pail Kids they can handle. 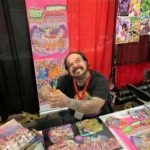 This years show was the biggest yet with a staggering 18 current and former GPK artists in attendance. 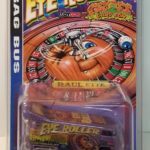 There were also plenty of GPK focused activities for collectors and artists alike. 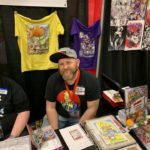 Perhaps the highlight for most in attendance was just being able to hang out with their fellow collectors and artists they chat with on a daily and/or weekly basis online. 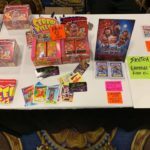 This years Las Vegas ToyCon was held in the event center of the Westgate Casino. This was the best setup, by far, of the three Las Vegas shows. The entire show was held in one room. This made things a lot better for everyone involved and allowed the general ToyCon guest to easily find the GCC area. 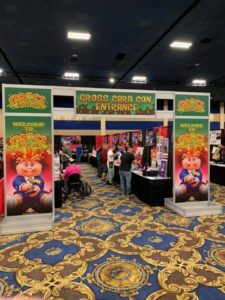 The 12 regular artists who attend GCC were located in their own section of the show, complete with an archway banner letting everyone know they were entering GCC. The new sketch artists who were attending for the first time were in artist’s ally in the adjoining isles. 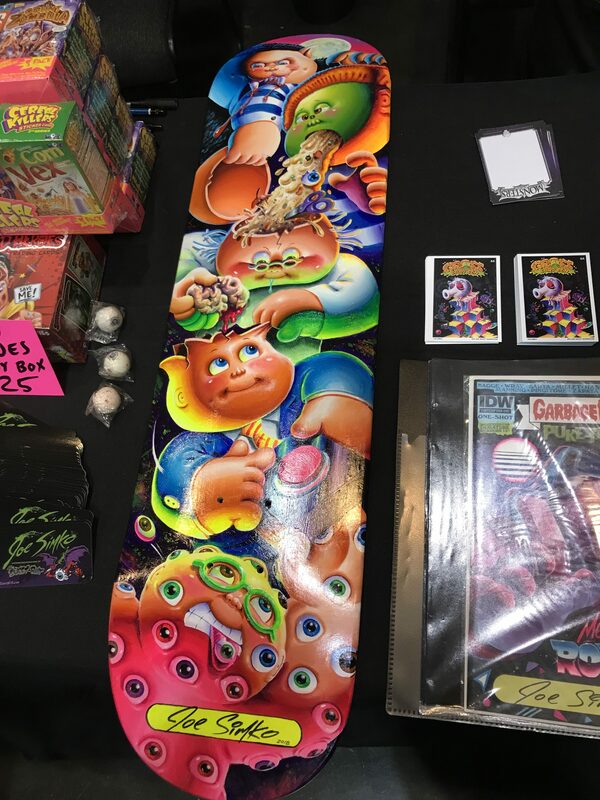 Clint Coleman’s GPK & Wacky Warehouse booth was right outside the entrance to GCC. As usual the biggest highlight of the show for collectors is seeing all the artists. OS artist Tom Bunk was once again the headlining artist at the show. 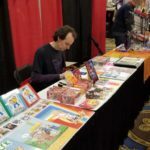 He was offering his new GPK dollhouse print for sale at the show, and it proved to be a big hit. 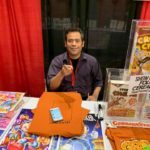 The Gross Card Con sketch shirts being offered by Joe Simko and Jeff Zapata were also a popular item for collectors. 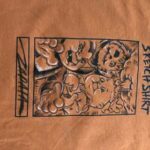 Sales of the shirts with sketches kept both artists busy the entire show sketching at their booth. 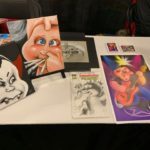 In fact a majority of the artists spent a lot of time working on commissions at the show. 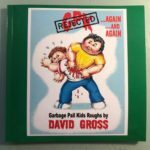 Another highlight from the show was David Gross’ third GPK Rejects book. 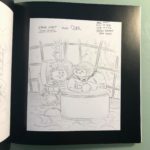 Each book comes with a sketch and is filled with pages of great gags that were not used by Topps. Jon Gregory’s black canvas paintings were suburb to look at in person. 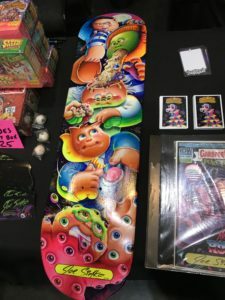 It wasn’t just GPK merchandise that was selling well either. 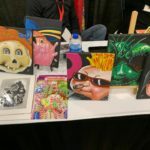 Both Michael Barnard and Chad Scheres were busy at their booths selling a number of their own original creations. 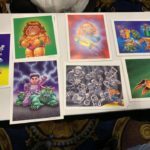 Mark Pingitore also had all the Magic Marker Art items, including new magnets and promos cards for upcoming sets. 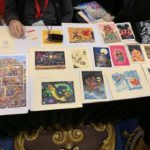 In addition all sic of the first time artists attending seemed to really enjoy themselves, not only meeting collectors, but also meeting their fellow artists. Another large part of this year’s show was Topps finally acknowledging the show existed. 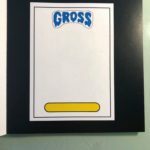 While Topps didn’t attend in person, they did allow one of David Gross’ unused 90’s gags to be created as promo cards. 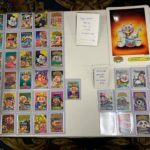 There were a number of ways to obtain both promo cards at the show, and they were a popular item for collectors. 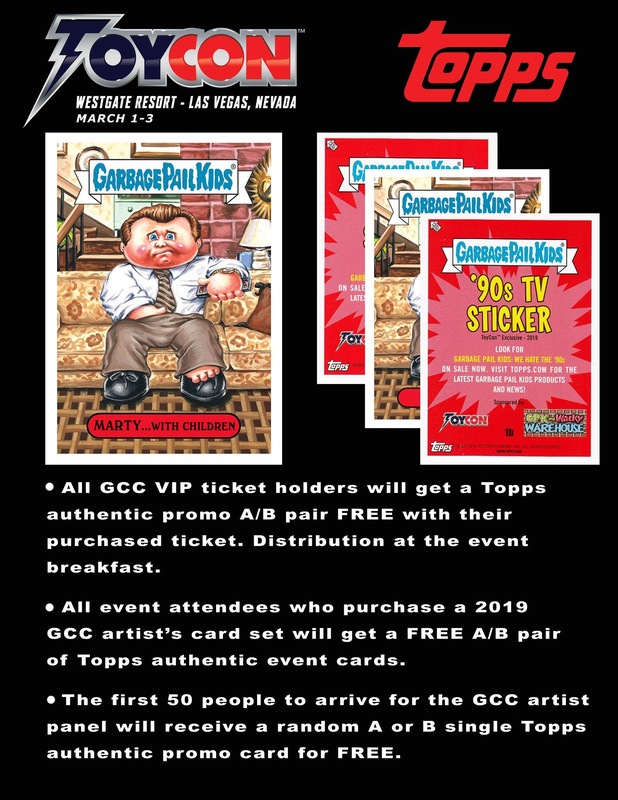 In addition Topps promoted GCC on both their GPK Facebook page, and the Topps Twitter account on Friday. 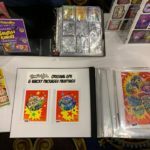 This acknowledgment is a huge advancement for Topps, and shows collectors that there may be some change afoot with the brand. 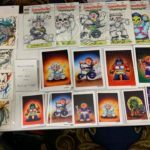 There were also plenty of special GPK themed events for collectors during the show. All three days of the show featured a Scavenger Hunt. 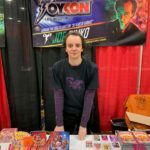 Clint Coleman would hide some exclusive ToyCon cards, sketch cards, and other goodies around the hotel for collectors to find. Saturday morning was the VIP breakfast with the artists. Many of the artists attneded with collectors who were SuperVIPs or purchased the breakfast. This setting allowed collectors a chance to talk with artists through a meal. 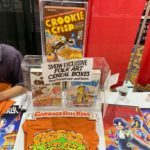 Attendees to the breakfast also received a set of Topps Promo cards, and a special Adam Bomb decorated cookie from Joe Simko. Later that morning brought on the usual card chat with the artists. 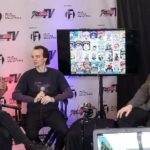 This year’s chat started off with Jago Studios CEO Stuart Drexler. He gave a quick 10 min. 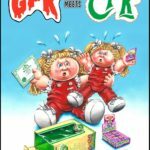 presentation on GPK the Game. He shared some of the game mechanics, what items they were focusing on, and general developments on the dame. 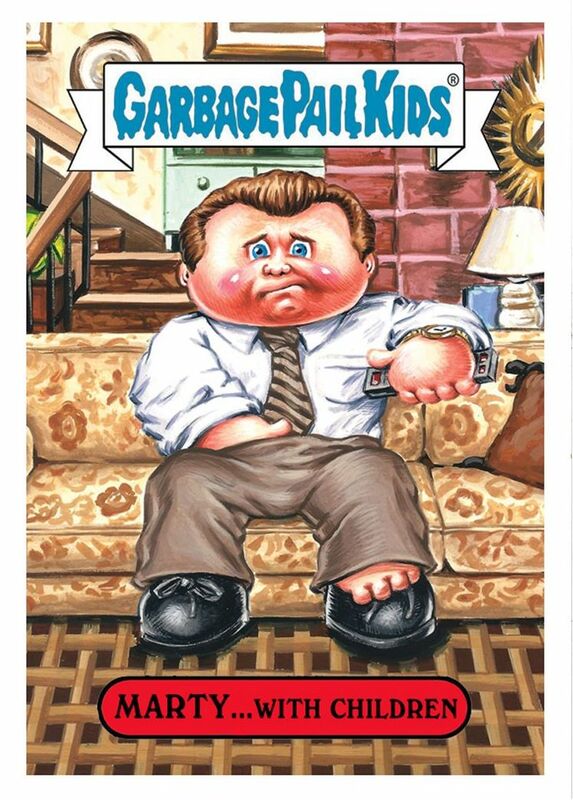 He also handed out an exclusive GPK the Game sticker to collectors on Friday and Saturday at the show. That left only a minimal amount of time with the artists. 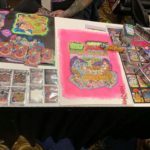 While there wasn’t a lot of new information to share, the artists did mention they were working on some projects that they thought would really push the brand forward. Unfortunately, they were unable to share any additional information about unannounced products. 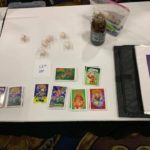 GPKNews was in attendance, you can find video of the card chat here. 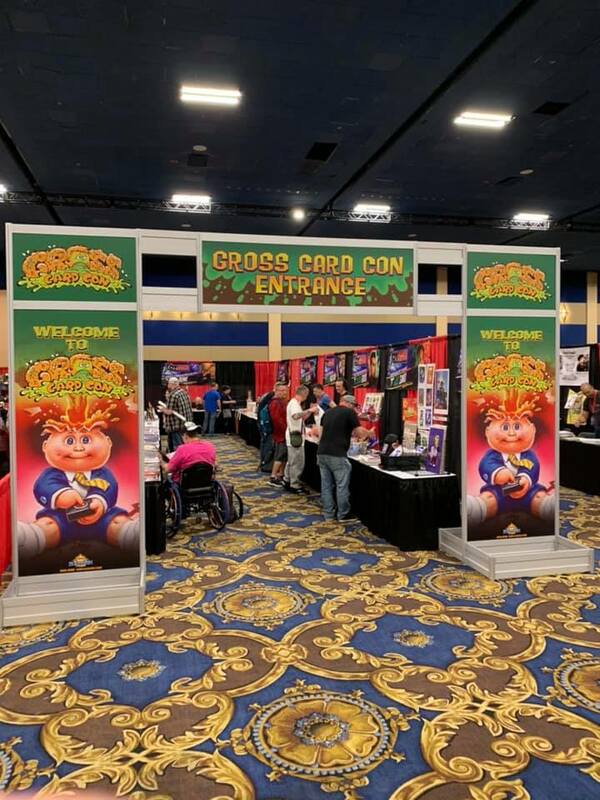 This year’s Vegas Gross Card Con ended up being a solid show for all involved. This was the best and cleanest hotel that show has been in to date. As mentioned above the show layout, while not perfect, was also the best its been. 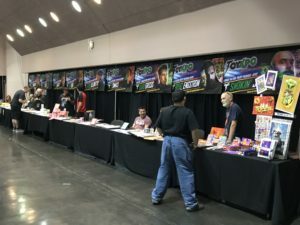 Next time not closing off the GCC area would lead to more general ToyCon foot traffic for the artists. 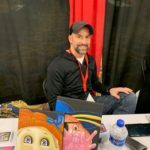 In speaking with the artists at this years, show the vibe was it was a good show. Most artists made money, with a couple saying they had their best show day ever on Friday. The show ended up being a positive experience for almost all the artists. 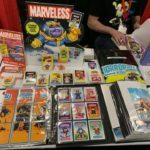 Every collector I spoke with really enjoyed the show. I think every collector will tell you the same thing. While it’s great to see all the cool items available, the highlight of the show is hanging out with friends you talk to throughout the year. This show brings a couple of hundred of your closest hobby friends together. 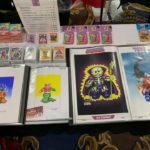 If you haven’t attended a Vegas GCC show before, start planning now for next year, you will not be disappointed. 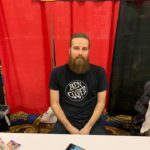 Check out a bunch of pictures from the show. Thanks to collector Jason Bryant for sharing some of his pictures as well! 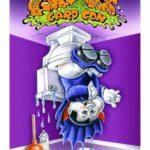 As we’ve detailed over the past few weeks, this year’s Gross Card Con will be the biggest one yet. 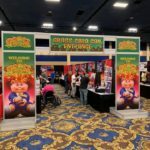 GCC will open at the Las Vegas ToyCon one week from today. The show will be March 1-3 at the Westgate Casino just off the Vegas Strip. 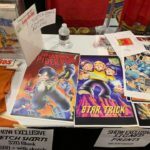 Recently we shared all the details around the show exclusive cards, and the official Topps promo card available at the show. Now it’s time to review what each artist will be bringing. 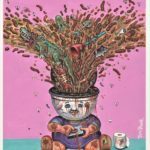 There are 18 artists scheduled to be on hand for the show. 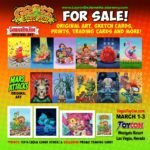 Many of today’s current and former final card artists, along with a number of GPK sketch artists will be on hand offering a wide variety of their own original art for sale. 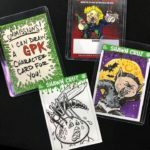 Each artist will also have their show exclusive GCC cards they created at their table for sale. 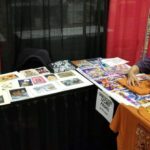 Here’s a rundown of what show goers can expect to find at each artist’s table. 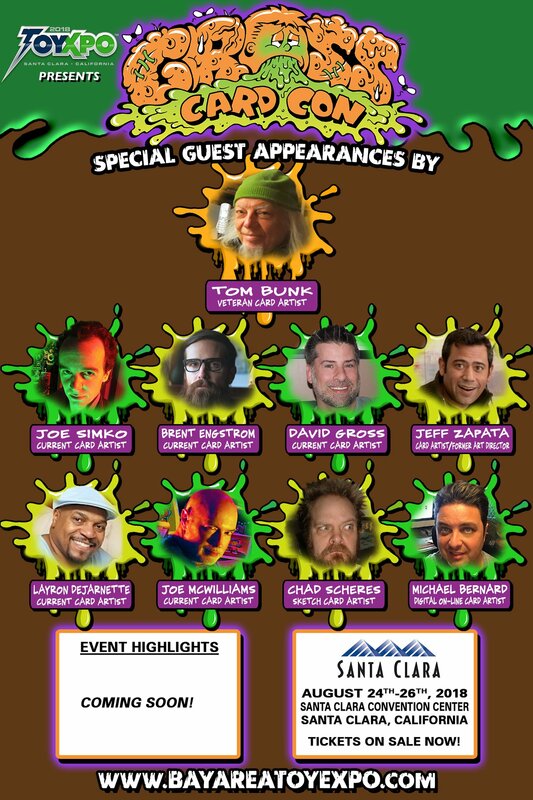 Original series artist Tom Bunk is once again headlining this large group of artists. 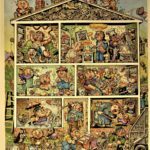 He will have posters available to purchase of his recent GPK Dollhouse painting. 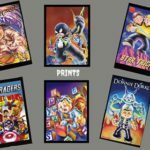 He will also have on hand large card versions of his Gross Card Con cards available for purchase. 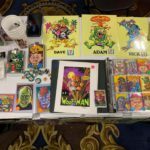 Like usual, current GPK artist Joe Simko will have a table full of items to choose from. 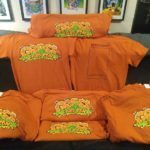 A brand new item, Gross Card Con Sketch Shirts, will be offered only at Smiko and Jeff Zapata’s tables. 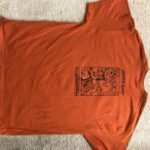 These shirts have the option to get an artist to draw a sketch right on the shirt! Only 100 shirts will be available. 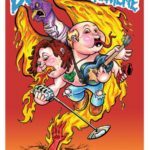 Joe will have copies of the Director’s Cut version of his 30 Years of Garbage DVD. 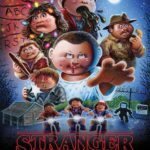 He will have several Stranger Kids sets for sale, in addition to one complete Master Stranger Kids set (w/ all four bonus cards). 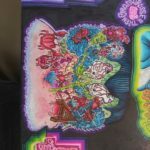 He will also have some of his final art available to purchase. 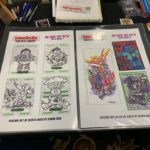 He will have official Topps sketch cards available to purchase or for commission, along with comic covers. He also will have plenty of his own Cereal Killers and Stupid Heroes trading cards for sale. 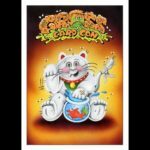 Current GPK artist Brent Engstrom will once again to attending GCC. 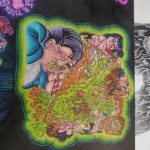 He will have a number of prints of his original work available for sale. 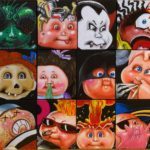 Another mainstay GPK artist David Gross will be bringing a number of new items to the show. 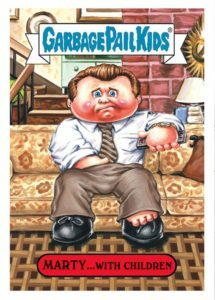 A brand new third installment of his popular Rejected GPK roughs will debut at the show. 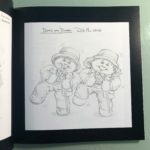 Collectors purchasing a book also get a pencil sketch in the book. Books 1 & 2 will be available for purchase as well. 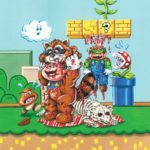 David will have a number of new original 11×14 Glossy prints available to purchase including a Thanos/Adam Bomb crossover, a great GPK/CPK mashup, a Mario parody, and more. 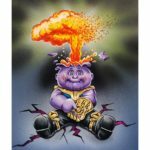 There will also be cards of the Thanos and Pulp Fiction paintings available. He will also have final art, original pencil roughs, and his own sketch cards available for commission. 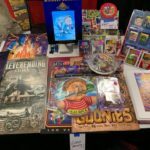 If you aren’t attending GCC, be sure to message David after to show to purchase any remaining items. 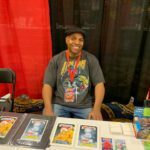 Layron DeJarnette, another current GPK artist will be on hand showcasing his original art. 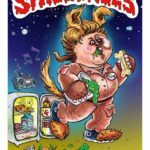 He will have both Garbage Pail Kids and Mars Attacks final art available for purchase at the show. 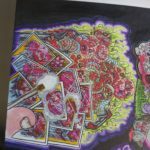 He also will have a number of large 11×14 prints of his original work available for purchase. 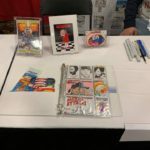 Sketch cards and trading cards also will be available. 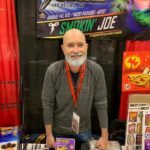 Longtime Wacky Packages and GPK artist Smokin’ Joe McWilliams will once again be at GCC. 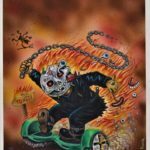 He will have a wide assortment of items highlighted by numerous final paintings from recent GPK releases. 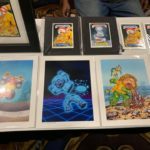 He will also have his some new prints and posters of his original art. 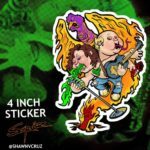 His popular sticker packs will be available as well. 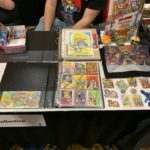 He will have a number of sketch cards available in addition to taking commissions at the show. 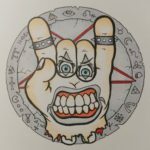 He commission list is also open for custom illustrations, paintings, and portraits. 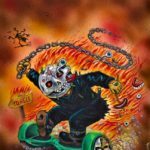 Magic Marker Art owner/artist Mark Pingitore has been killing it lately with his new releases. He will once again be on hand with many new items available at the show for the first time. 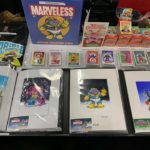 Collectors will be able to pickup promo cards for Marveless Kids 1 and Horrorible Kids 4 for $5. 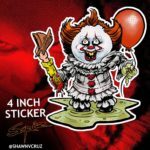 A brand new Series 2 Magnet set will be available for $15. 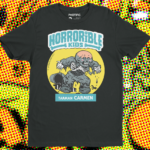 A new batch of Horrorible Kids 11×17 posters will be on sale for $10 each. 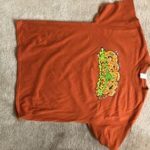 There will also be new shirts of Tarman Carmen for $20. 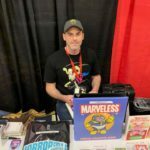 Did you miss out on pre-orders for Marveless Kids 1? You will be able to pre-order at the show! 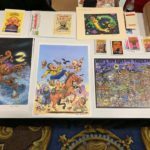 He will also have a limited number of his previous sets, magnets, and posters available for purchase. Mark will also be taking commissions at the show for sketch cards and comic covers. 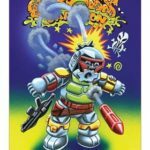 Former GPK art director, editor, artist, and co-Director on 30 years of Garbage Jeff Zapata will be at the show debuting a unique new item. 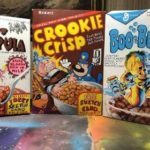 Jeff will have some original painted folk art cereal boxes, redone with a GPK inspired theme to them. The front, back, and side panels are redone with gags from the mind of Jeff Zapata. 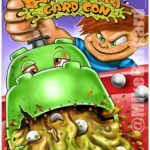 Jeff, along with Joe Simko, will also debut the Gross Card Con Sketch Shirt. 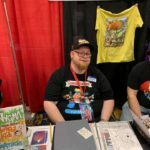 Available at both booths, the shirt is limited to 100, and gives buyers the option of getting an artist to add a sketch to the shirt. 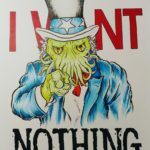 Jeff will also have some of his popular original prints available for sale. 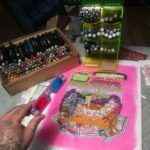 Once again GPK artist Micheal Barnard is the workhorse of GCC. Michael is commissioned by ToyCon to create a number of pieces for be used throughout the ToyCon. 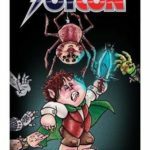 Michael created the the official show Comic Cover which will be given out to the first 150 attendees each day of the show. Michael will be on hand at the show entrance to autograph the covers. 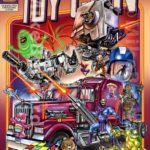 A ToyCon sticker limited to 100 will be available at his table for $5. 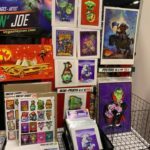 He also has a number of products featuring the artwork for his GCC cards. 8×10 show prints, signed and numbered to 100 will be available. A custom die-cast car featuring GCC artwork will be at his table in very limited quantities for $60. He will have a special show mug for $15. 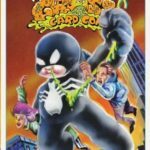 He will have a number of GPK inspired sketch cards on custom stock available. 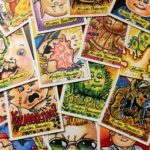 A GPK inspired card set is also available for $30. In addition he will have all his popular 10×17 prints at the show $10 for the first one, $5 each additional. 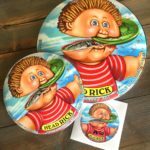 Finally he will have a couple of his Head Rick sets available for fans of disc golf. 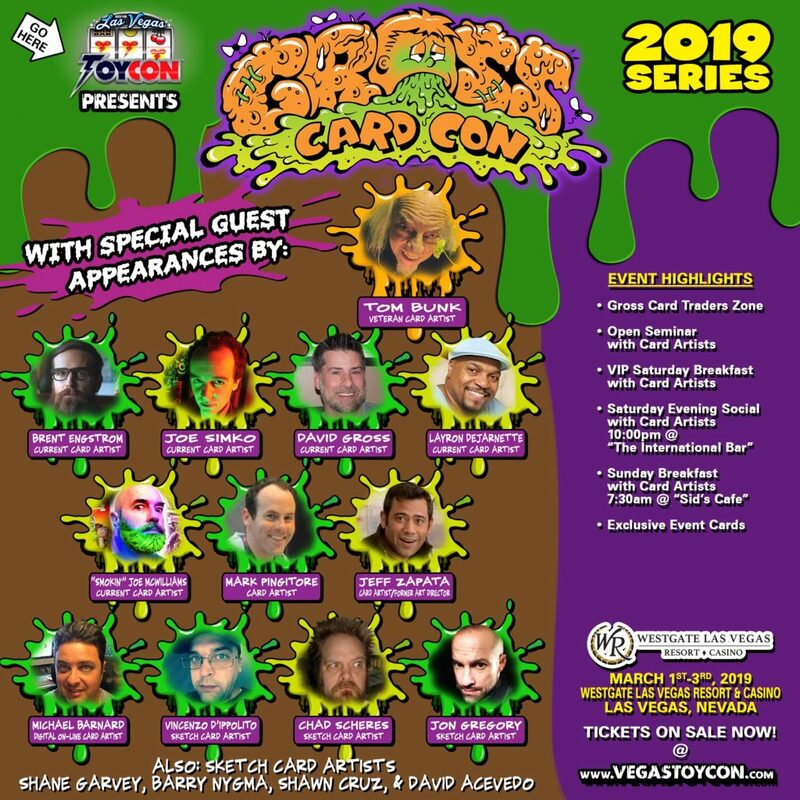 For the second year in a row GPK sketch artist Vincenzo “Chenduz” d’Ippolito will be traveling all the way from the Netherlands to attend Gross Card Con. 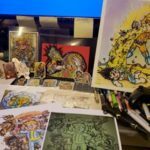 He will have some original prints, metallic postcards, and stickers for sale. 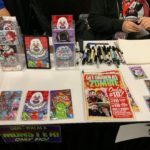 He will have sketch cards on GCC stock and blank comic covers available for commissions. 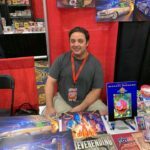 Chad Scheres will be attending his 4th GCC event. 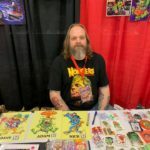 He will have a table full of his original monster art available in stickers, cards, prints, and more! 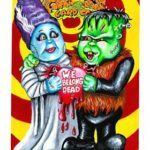 He will also have some new GPK inspired prints on hand as well as lots of original art. 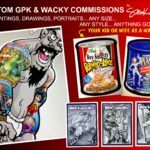 GPKs sketch artist Jon Gregory will once again be attending GCC. He will be debuting his beautiful Black Canvas Series of acrylic paintings done on 8×10 black canvas. 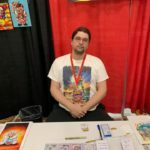 He will also be doing the black and while commission drawings he did at last year’s event. 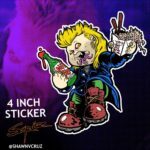 GPK sketch artist Shane Garvey will be making his first appearance at the show. 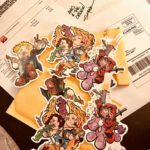 He will have an assortment of stickers, magnets, buttons, prints and shirts available of his original work. 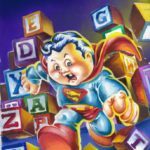 GPK sketch artist Barry Nygma will also be making his first appearance at GCC. He will have copies of his show exclusive Scavenger Hunt card at his table. He will also have two new prints for sale. 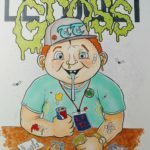 His Let’s Get Gross print is a show exclusive and is limited to 25 copies. 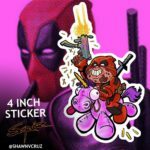 He will also have a couple of stickers for sale. 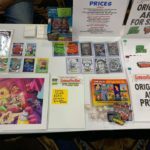 For every $10 spent at his table you will get an entry in a contest for the original art of the ToyCon Scavenger Hunt card. 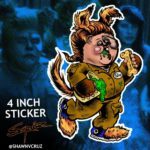 Another first time GCC participant is GPK sketch artist Shawn Cruz, He will have new stickers available of his original GPK inspired work as a set of 5 or for purchase individually. 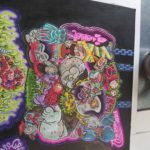 He will also have over 20 large 12 x18 prints of his original work. Magnets will also be available. 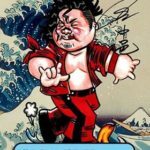 Shawn will also be taking sketch card and 8×10 commissions at the show. 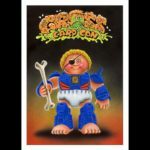 GPK sketch artist David Acevedo will have giant card sized “a” and “b” versions of his scavenger hunt card available for purchase. Each name is limited to 25 copies. 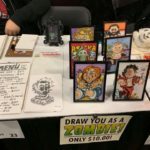 He will also be taking sketch card commissions at the show. 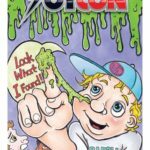 The last first time attendee, GPK sketch artist Jay O’Leary will be on hand debuting his Grosser than Gross 10 card set. 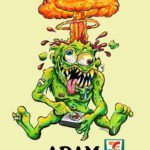 The release is limited to 666 packs. You can purchase a 5 card pack at the show for $5. If you aren’t attending the show, you can contact Jay to pre-order packs now. 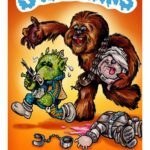 He will also have some of his Warstars Bootleg Kids cards available for purchase. 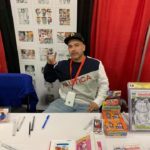 A last minute addition to the show is GPK sketch artist Victor Moreno. 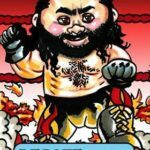 He will be selling his 5 card GPK inspired wrestling set featuring many of the WWE wrestlings who will be at ToyCon. 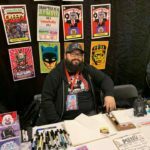 He will have his original horror prints for sale as well. 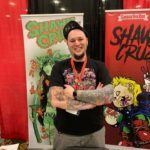 He will also be taking sketch commissions on personal stock and comic covers. 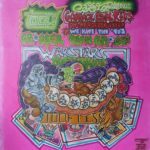 Of course Clint and the gang from GPK & Wacky Warehouse will be on hand. 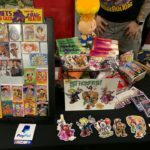 Not only will you be able to buy the show exclusive card set from his booth, but he will have a full display of GPK and Wacky products for purchase. Finally, you can expect to see Stuart Drexler the CEO of Jago Studios at the show. 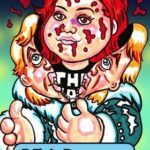 Drexler who is also the Executive Producer of GPK the Game will be on hand at the beginning of the artist talk to share some updates on the game. He will also be available Saturday during the show to talk to collectors. 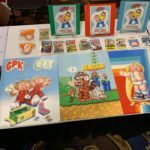 Don’t miss this chance to get the latest info on the upcoming mobile game, GPK the Game. 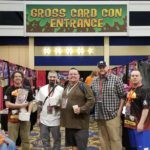 We are just three weeks away from the next Gross Card Con. 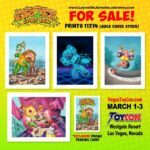 This year’s show is part of the Vegas Toy Con, held at the Westgate Casino in Las Vegas from March 1-3. 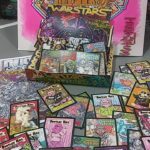 Once again, the show will offer an exclusive card set created by the artists. That’s not all! There will also be Scavenger Hunt cards, and an official Topps promo card available at the show. 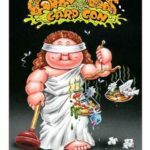 Clint Coleman from GPK & Wacky Warehouse produces all the show exclusive cards. 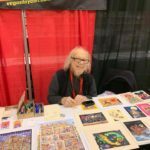 He shared with GPKNews all the details around this year’s cards. Read on to find out what will be offered. 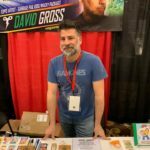 As announced last week by artist David Gross, there will be an officially licensed Topps promo card for the first time at Gross Card Con. The Married With Children parody will come in both an a and b version. Show goers will have a few options to obtain these cards. 1) VIPs will automatically receive both versions of the card at their VIP Saturday breakfast. 2) Purchase the glossy show exclusive set (see details below) and receive both cards. Each set purchased will receive both cards, there is a limit of two sets per customer, per day of the show. 3) Attend the artist Q&A session. The first 50 people to attend the Q&A session will receive one card, (a or b). The artist Q&A is scheduled to take place at 11:00 AM Saturday at the show. 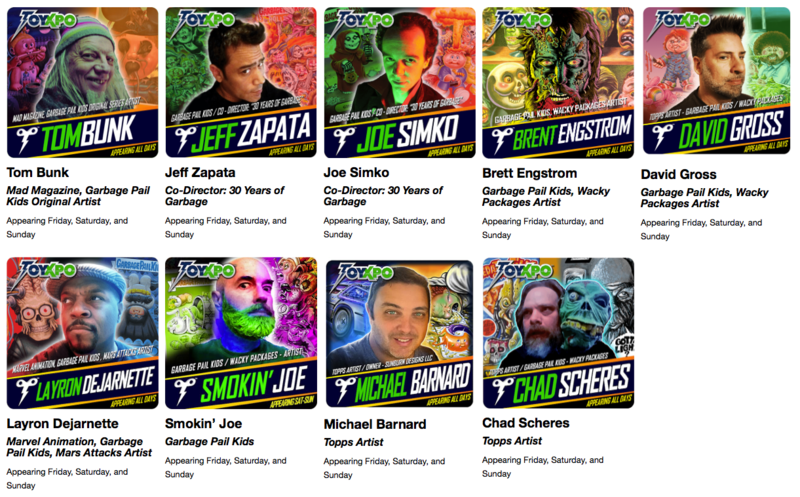 This year’s show exclusive set will be an extra large 24 card set featuring artwork from 12 different artists. 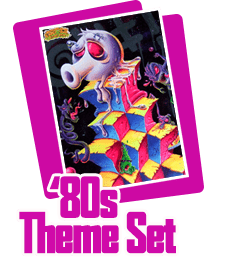 The set has two themes, 12 unpublished gags, and 12 toys. 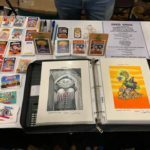 David Gross did three paintings for the set, Layron DeJarnette did one, and Tom Bunk, Brent Engstrom, Joe Simko, Joe McWilliams, Mark Pingitore, Jeff Zapata, Michael Barnard, Chenduz, Chad Scheres, and Jon Gregory did two each. The set will be available in two different versions, Glossy and Canvas. Each set will be limited to 100 available to purchase at the show. 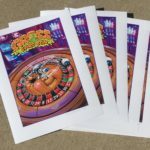 The print run of the Glossy set is 250, with the remaining cards being given to show promoters, artists, and to be sold after the show. The Glossy set will cost $50, while the Canvas set will be $40. There will be a special show promotion, you can purchase both sets for $80. VIP holders will receive a Glossy set as part of their package. While the Canvas set won’t come with any extras, the Glossy set will come with the Topps promo cards and a chance at pulling a special show redemption. 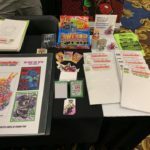 Redemptions will fall roughly 1:5 sets, and include a chance to get a sketch card from one of the 12 artists from the set, merchandise credits from GPK & Wacky Warehouse, or a large medal art card printed by Faeire Metal company. Only glossy sets purchased at the show will receive the Topps promo cards and have a chance at a redemption. 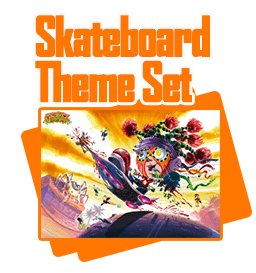 Sets will be available for purchase from the GPK & Wacky Warehouse booth at the show. 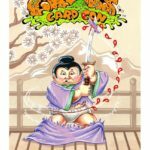 The artists have revealed some of their cards for the set. 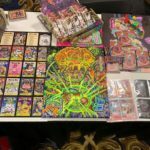 Here is a gallery showing many of the cards. 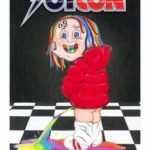 Finally, there will be a GPK Scavenger Hunt during the show. 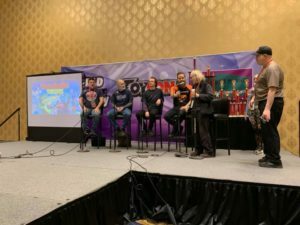 Four Topps sketch artists attending the show, Shane Garvey, Barry Nygma, David Acevedo, and Shawn Cruz all painted a card to be used during the hunt. The four cards will be hidden around the show venue throughout the weekend. 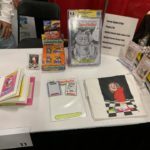 The artists will also have copies of the cards available at their booth. VIP holders will also receive all four cards in their package. Here are a couple of examples of the scavenger hunt cards. 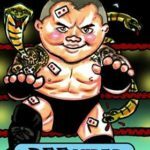 These are just the cards show promoters have planned for the show. 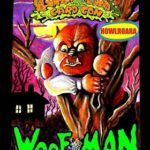 Each artist has so much more planned for this year’s Gross Card Con. 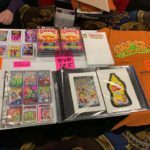 GPKNews will have another article just before the event showing many of the goodies available from each artist. If you haven’t booked your room yet, now is your chance! 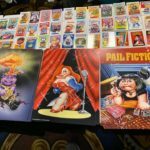 This year’s Las Vegas Gross Card Con event is shaping up to be the biggest event yet for Garbage Pail Kids collectors. 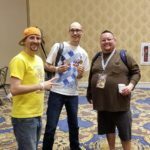 This will be the 4th GCC, and 3rd to be held in Vegas. As usual, this year’s event will be part of the larger Vegas ToyCon. 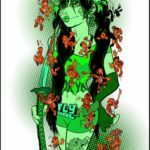 The ToyCon is moving venues once again. This year’s event will be held at the WestGate Convention Center at the WestGate Hotel & Casino from March 1-3. The new venue should allow for less of an obstacle course experience compared to last year’s event. 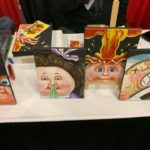 The event is considered by collectors the yearly “national” show for GPK collectors. 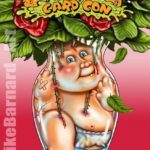 There will be the largest group ever of GPK artists attending the show. 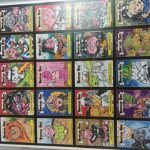 If history is any indication there will be also be a few hundred GPK collectors from around the world attending the show. 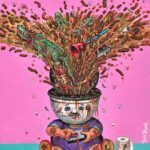 This is your chance to put names to faces of the artists and collectors you talk with on a daily basis online. If you’ve never been, here’s a little of what you can expect. As of press time there are 17 former, current, and sketch artists set to attend the show. 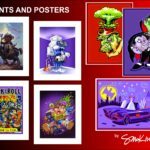 This will be the largest group of GPK artists in one place to date. 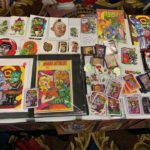 These twelve artists that attended last year’s Vegas GCC are set to come back; Tom Bunk, Brent Engstrom, Joe Simko, David Gross, Laryon DeJarnette, Smokin’ Joe McWilliams, Mark Pingitore, Jeff Zapata, Michael Barnard, Vincenzo D’Ippolito, Chad Scheres, and Jon Gregory. 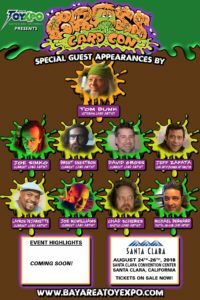 In addition five sketch artists will also be in attendance including Shane Garvey, Barry Nygma, Shawn Cruz, David Acevedo, and Jay O’Leary. 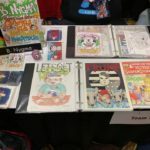 The artists will have final artwork, official and personal sketches, prints, personal card projects, and much more available for sale at the show. They are also all very approachable and willing to chat with GPK fans during the show. 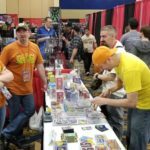 Every GCC has a few special events for collectors. Once again there will be an open seminar with some of the artists doing a question and answer session during the show. 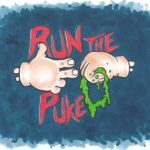 Want to eat with your favorite artists? VIP ticket holders will be able to have breakfast with the artists Saturday morning. While Sunday’s breakfast with the artists is open to everyone. A Saturday evening social event will also be held at the International Bar inside the WestGate Casino. This is a great relaxed time to spend with artists and collectors. As always there will once again be some show exclusive cards available. Many of the artists attending are busy working on the artwork that will be featured in this sets. 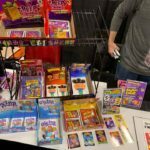 The sets are put together and sold by Clint Coleman of GPK & Wacky Warehouse. They will be available at his booth during the show. 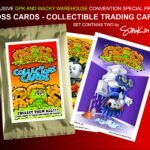 Expect some surprises for some collectors purchasing the sets. 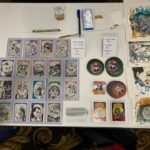 Some artists have already started showing off their cards for the sets! Collectors have a few options when it comes to tickets. 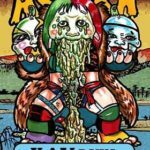 Those wanting an all in one pass to everything the show offers might be interested in the Super VIP pass. For $1000 you get 3 nights hotel at the Westgate, early admission to the show, and lots of show exclusive swag. 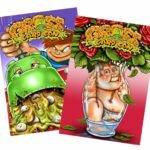 Part of the package includes a GPK themed car, and an autographed copy of the 30 Years of Garbage documentary. Gold and Silver VIP passes are also available for a fraction of the cost. Those passes don’t include hotel or most of the swag, but you still get early admission to the show and other perks. There are also individual and weekend passes available. 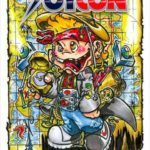 Go to the Vegas ToyCon website to check out and purchase various ticket options. Alternatively, you should consider checking out Groupon where there are already deals up on individual and weekend passes. 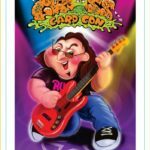 Gross Card Con is expanding. 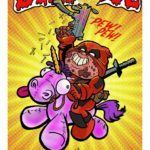 The same people behind the recent GCC even in Las Vegas announced they are bringing the fun to the Bay Area ToyXpo. The show is set to take place Aug. 24-26 at the Santa Clara Convention Center in Santa Clara, CA. 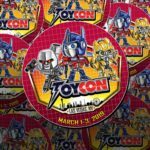 Once again, the event will take place inside the larger toy and comic convention. 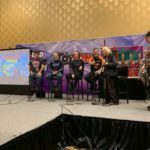 The show first announced GCC would be appearing a couple of weeks ago, but only today began releasing details on the show. 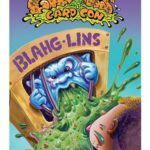 While not a large as the Las Vegas GCC, there is still a very strong lineup of artists scheduled to attend. 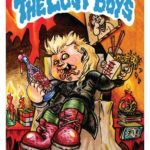 Right now there are 9 current and former GPK artists set to attend. The show will feature former original series artist Tom Bunk. 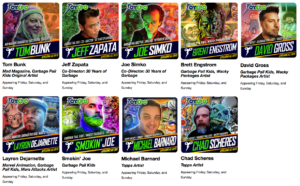 Also, current artists Joe Simko, Brent Engstrom, David Gross, Layron DeJarnette, Joe McWilliams, Michael Barnard, and Chad Scheres are all set to be there in addition to former artist and art director Jeff Zapata. No other GCC events have been announced yet for the show. 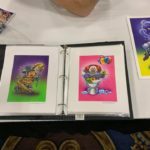 The show also has a Super VIP option for GCC collectors they are offering. The cost of $1000, which is up from the Las Vegas cost. 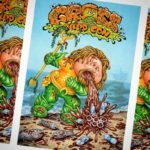 The package includes 3 nights at the host hotel (TBD), early admission to all three days of the show, 4 event exclusive renderings, 1 custom GPK Pop, B&W sketch, and the Saturday VIP dinner. Tickets for the show are available at the show’s website. Start saving your money now, this is your one year warning. Almost two weeks after the completion of the 2018 show, work is already underway to make next year’s show even bigger. 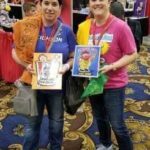 Organizers for the Vegas Toy Con announced today on their Facebook page plans for the 2019 show. 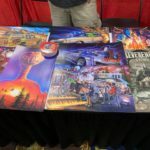 After receiving complaints from show goes and vendors about Circus Circus, the location of the show will be changing for 2019. The show will now take place at the Westgate Hotel. The hotel is located just off the Vegas strip next door to the Convention Center. The new location allows for 70,000 square foot of continuous show space. Show rates for rooms will be $89 per night. The show announced all rooms booked using the show code will also get a free toy each of the 4 nights. Super VIPs will also have a special area with breakfast and snacks served daily. 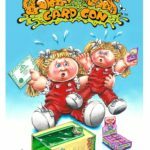 Most importantly to GPK collectors, was a comment made after the Facebook post regarding the return of Gross Card Con. 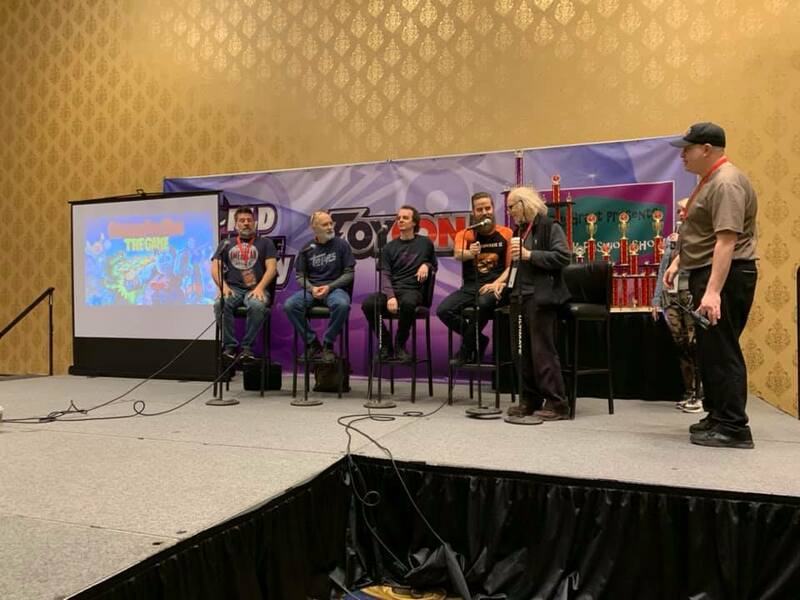 Additionally, GPKNews confirmed with Vegas Toy Con Executive Producer Andy Goodman that GCC will indeed be returning at the show. Expect announcements and promotions for GCC in the coming months. The show is scheduled to take place from March 1-3, 2019. Tickets for the event and vendor space will go live 4/10/18 at 10:00 AM pacific time. Start planning you’re Vegas vacation now!